For the third night in a row temperatures are dipping close to the average low temperatures for this time of the year – into the lower 60s in most locations. But a warmup is about to begin, with highs in the lower 80s Wednesday and Thursday, followed by mid to upper 80s for Friday. Like much of this winter, cold fronts trying to reach South Florida are struggling to do so. 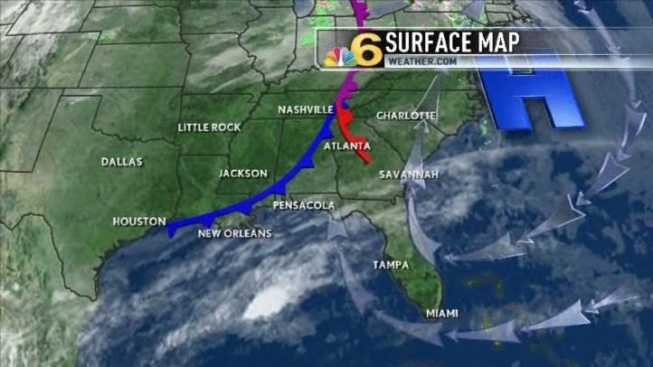 A front reaching northern Florida Wednesday will stall and dissipate. By Saturday, however, another cold front linked to a storm originating in the Pacific will be able to reach the southern tip of the peninsula. This may set off a slight risk of rain showers, and bring back daytime temperatures readings in the 70s.